Fern Elizabeth Giltner, 92, of Clarksville, IN and formerly of Charlestown, IN, passed away on Monday, September 3, 2018 at her home. She was born on November 20, 1925 to John and Myrtle (Orman) Baxter in Memphis, IN. 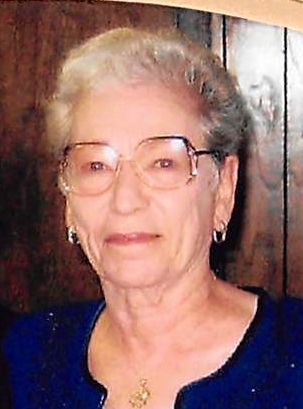 She was a retired seamstress for the Old ICI Americas, member of the American Legion and VFW Ladies Auxiliary, and a member of the First United Methodist Church in Charlestown, IN. She is preceded in death by her parents; husbands, Vernon Bower, and Marvin Giltner; sweetheart, Ivan Daes; son, Robert Giltner; grandson, Buddy Bower; 3 brothers, and 1 sister. Survivors include her daughter, Mary Beth Rodden (John) of Jeffersonville, IN; sons, Larry Bower (D.J.) of Jeffersonville, IN, and Ronald Giltner (Bobbie) of Newkirk, OK; grandchildren, Andrea Bower (Tyler Smith), Randy Bower, Leslie Bower, Veronica Howell (Charlie), Alex Rodden (Casey), and Scott Peach (Abby); 7 great-grandchildren; 3 great-great grandchildren. Funeral services will be held on Friday, September 7, 2018 at 11am at the Grayson Funeral Home in Charlestown, with burial in the Charlestown Cemetery. Visitation will begin on Thursday from 4pm to 8pm, and after 9am on Friday.